Posted August 9th, 2017 by Michael Gaul & filed under Employment Screening. Posted April 19th, 2017 by Michael Gaul & filed under Candidate Experience, Employment Screening. Posted April 5th, 2017 by Michael Gaul & filed under Background Screening Regulations. Posted March 9th, 2017 by Michael Gaul & filed under Employment Screening, Human Capital Risk. Posted December 28th, 2016 by Michael Gaul & filed under Background Checks, Employment Screening. Posted September 27th, 2016 by Michael Gaul & filed under Employment Screening, Risk Management. Posted February 4th, 2016 by Michael Gaul & filed under Background Checks, Background Screening Regulations, EEOC Guidelines, Employment Screening, Risk Management. Posted December 30th, 2015 by Michael Gaul & filed under Employment Screening. 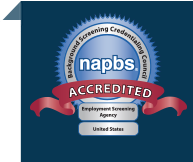 Discover the 10 most popular articles from the Employment Screening Blog in 2015.